Since we attended the Star Wars Land panel at Star Wars Celebration Orlando, there was a singular concept that stuck with me: the concept of the guest telling the story. As is currently known, Star Wars Land will encompass 14 acres in both Disneyland and Disney’s Hollywood Studios. There will be two attractions and some places to eat and shop, but it’s so much more than that. 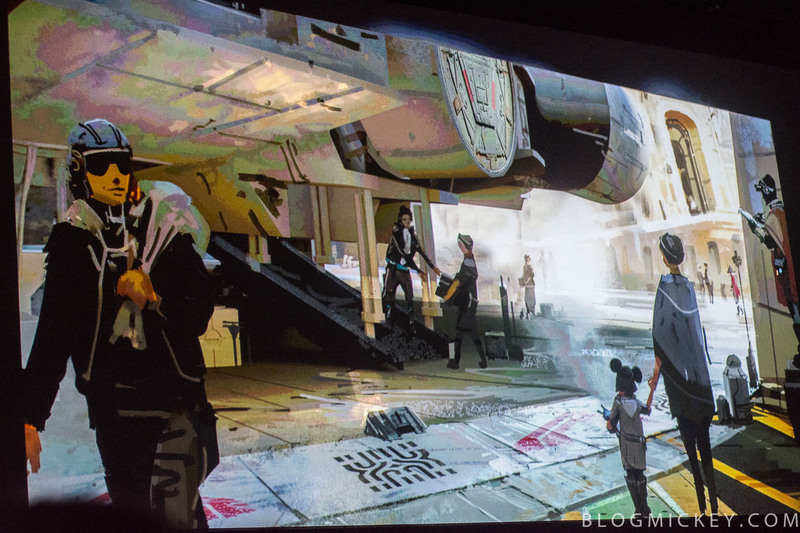 Star Wars Land will have a third attraction, the land itself. Let me explain. For decades, Walt Disney World and Disneyland have revolved around a story. Sometimes it was an original story like Pirates of the Caribbean, and sometimes it was a “book report” like Journey of the Little Mermaid. There’s always a story to be told by Imagineers. They’ve been constructing stories that they think guests want to hear and experience for over a half century. So what comes next? 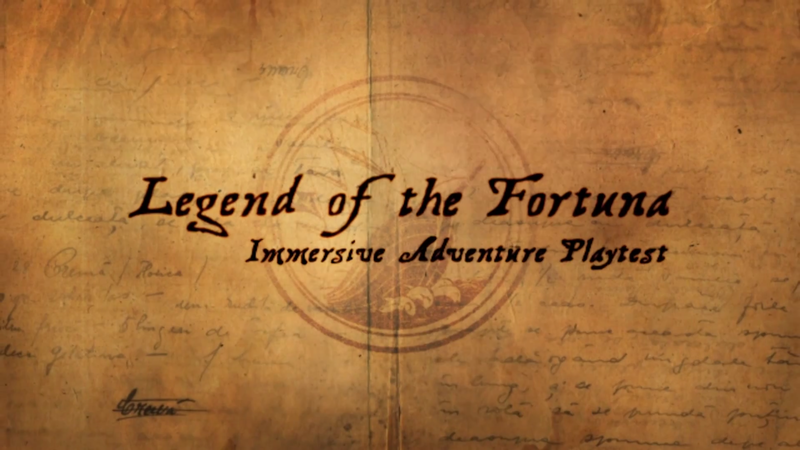 Let’s go back in time a few years to something called Legend of the Fortuna. It wasn’t an attraction or show, but rather an experience. In an effort to prove the theory that guests no longer want to listen to a story, but drive a story, Imagineers set up an experience called Legend of the Fortuna. This game could take hours or days, depending on the testing needs of Imagineers and it allowed guests to interact with live actors who would attempt to live in a story that the guest was creating. There were scavenger hunts and clues to be found. It seemed like a normal game, but there was also a team of roughly 50 Cast Members behind the scenes trying to stay one step ahead of the guests. They were working hard to build the world, in real time, that the Guest was creating via the story they were telling. While the guests responded very positively to the testing, Imagineers knew they couldn’t perform this on a large scale. They wanted desperately to bring this experience to the parks, but would need some help doing so. Enter Story Engine. 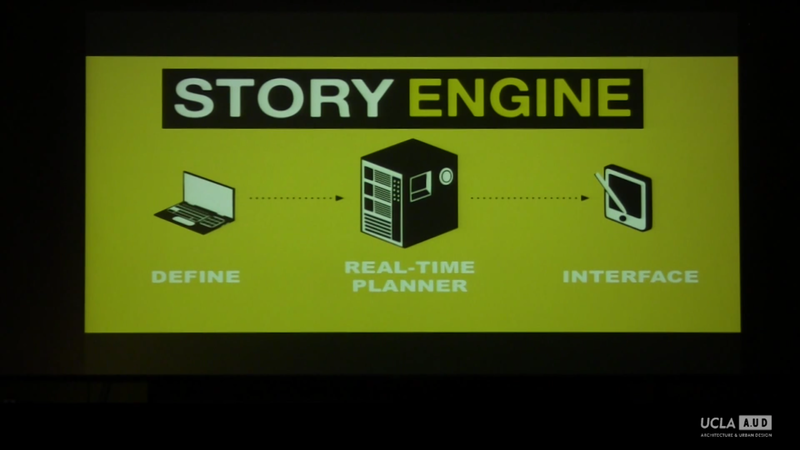 Story Engine is something that Imagineering has been working on for years. A single Imagineer, or even a team of Imagineers, can only come up with so many ideas. During their play testing of Legend of the Fortuna, Imagineers found that guests could come up with a lot more stories than they could ever dream of. As humans, we each have a unique set of circumstances and experiences that shape who we are. By letting the guest drive the story, a nearly infinite amount of stories could be told. So, Story Engine is essentially a computer program that predicts and responds to guest reactions, decisions, and behavior in real time as guests are creating their stories. The program then is able to communicate the next step back to a performer or land element. It’s a real time reaction to your specific decision or behavior. The example used in the recent Star Wars Land panel was that of either doing well or poorly in the upcoming Millennium Falcon ride. Do really well and Story Engine might deploy a performer to recruit you to fly against the First Order or launch you into another mission within the land. Do poorly, and Story Engine might send a certain angry Wookie. The idea is that the guest should be able to live and tell their story, in real time, as they see fit. Story Engine is the solution to the problem of scalability, but there was one more thing that Imagineers needed to complete this new guest experience. In the testing that Imagineers did with guests such as Legend of the Fortuna, guests were moving throughout Magic Kingdom and, in some cases, Walt Disney World property. Imagineers realized that they would need to build dynamic environments that can change as the guest tells their story. While we don’t have anything that fits the description of a dynamic environment yet, we will soon. Pandora – The World of Avatar is a new land at Animal Kingdom that will officially open on May 27th of this year. This new land will truly respond to guests in a way that hasn’t been done before at Walt Disney World. Walkways will light up as you walk over them, plants will respond to your touch, and the land will come alive at night, offering guests a completely different experience than during the day. 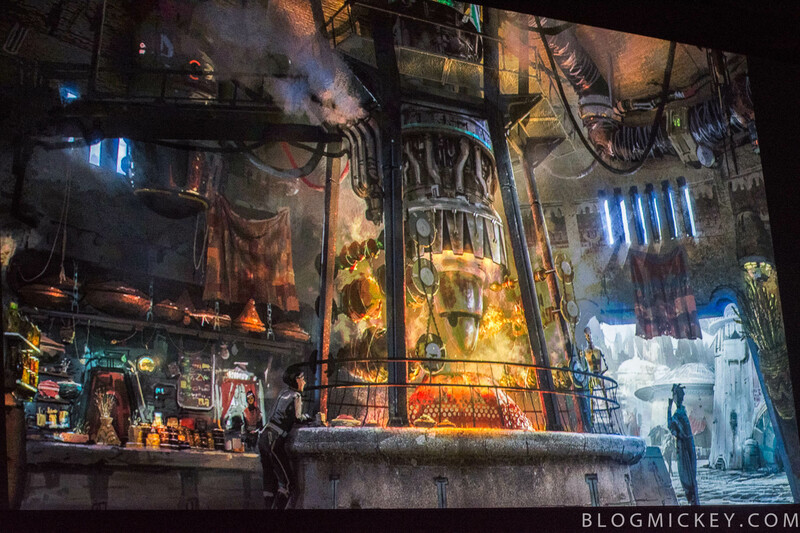 I don’t anticipate Pandora to be a fully realized “Story Engine land”, not even close. I do expect that elements of the land are stepping stones towards the type of experience Imagineers have been trying to make happen for years. Unlike Pandora, I believe Star Wars Land will be the first time we get to experience the type of guest-driven story that Imagineering has been working on since at least 2008. Scott Trowbridge, the driving force behind Star Wars Land, and really Story Engine as a whole, gave us quite a bit of insight as to how Star Wars Land fits into the Story Engine evolutionary timeline. When asked why Disney didn’t just create Hoth, Tatooine, Naboo, or another planet that we’re already familiar with from the Star Wars movies, Trowbridge gave an insightful answer. He said those planets already have stories, and that those stories have characters that we already know. Just as important as knowing existing stories is knowing that we aren’t a part of those existing stories. Instead, Imagineering and Lucasfilm set out to design a land with a great number of stories unknown to us and more stories yet to be told by us. This new land will have two rides, yes, but there will be so many more opportunities for guests wanting to seek them out. Smugglers will be on hand to offer side jobs to guests who want to help out. The First Order and Resistance also need help and will be recruiting and sending guests out for their own stories and missions. Your experience with the Millennium Falcon won’t end when you safely land. The choices you make on board that ship will follow you into the local watering hole. This will truly be a land where Story Engine is fully realized. The decision to create a land that guests aren’t familiar with was met with quite a bit of confusion and even backlash, but Imagineering is (and has been) playing the long game. The gamble that they made is that guests will ultimately want to live and tell their own stories. That the guests will take ownership and authorship of their vacation to this Outer Rim planet. They could have built a known planet with a known story, but they strongly believe that the best story to be told, is yours. For a little bit more on the topic, here’s Scott Trowbridge talking about the future of storytelling back in 2015. 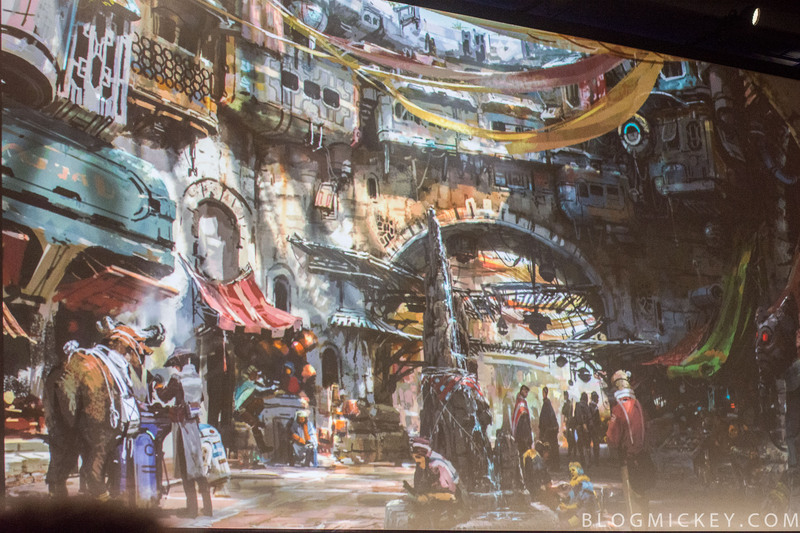 If you’re interested in hearing more from the recent Star Wars Land panel, we’ve got a write up with some photos of it. Previous articlePHOTOS + VIDEO – Disney Parks Merchandise panel showcases future Star Wars merchandise and more!